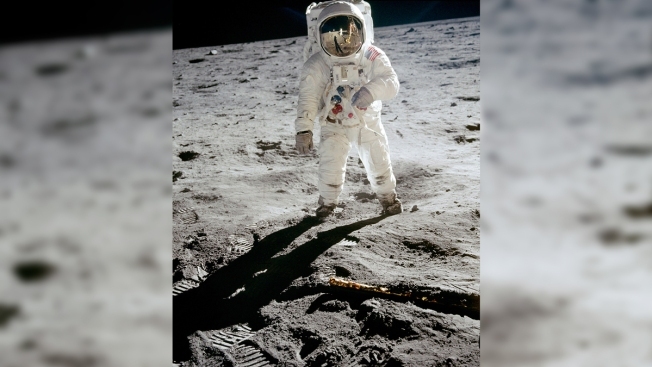 In this 1969 photo released by NASA, astronaut Buzz Aldrin walks on the surface of the moon. 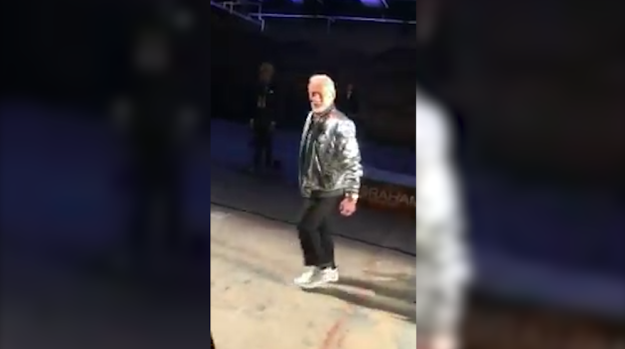 Former astronaut Buzz Aldrin wore a different sort of space suit Wednesday, making his debut as a male model in Nick Graham's space themed New York Fashion Week show. Aldrin joined fellow science star Bill Nye the Science Guy in Graham's show, even doing a moonwalk down the runway.